We offer laser surgery for the treatment of unwanted blood vessels, brown spots, and excess hair. The two lasers we use are the V-Beam and GentleLase. The V-Beam is used to treat a variety of vascular lesions that include telangiectasia (broken vessels), redness from rosacea, port wine stains, and hemangiomas. The laser produces a strong, but gentle burst of light that destroys the abnormal blood vessels without damaging surrounding tissue. Through a series of treatments, you will notice a decrease in redness and blood vessels and in some cases, complete disappearance. What is V-Beam Laser treatment, and how does it work? 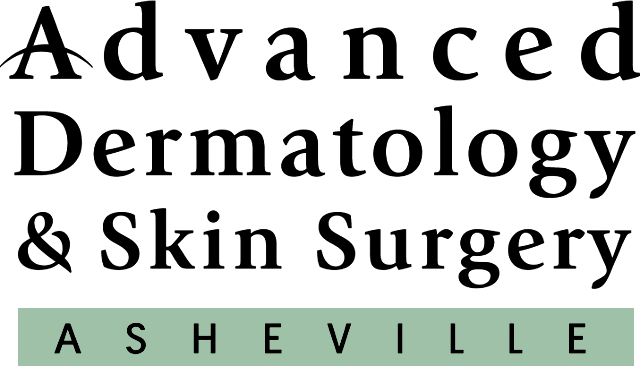 For many years, individuals have been bothered by unwanted or unsightly blemishes on the skin. Many of these red blemishes are dilatations or growths of blood vessels. In recent years, the introduction of the Candela Vbeam laser has brought hope to so many who struggle with these skin conditions. The Vbeam is a laser that produces an intense but gentle burst of light that destroys abnormal blood vessels without damaging surrounding tissue. Through a series of laser treatments, the appearance of these blemishes can be significantly reduced, and in many cases, removed entirely. There may be some stinging, burning, or discomfort experienced while the laser is in use. With each subsequent treatment the discomfort usually lessens. Anesthetic creams can be provided prior to treatment to help lessen any discomfort. What are the potential risks of the treatment? While the treatment has been generally proven safe, there are potential risks to the procedure including: scarring, hypopigmentation (lightening of the skin) and hyperpigmentation (darkening of the skin). These risks can be reduced with proper care to the treated area. We will discuss all of the risks with you prior to treatment.What should I expect immediately after treatment? The response to treatment varies from individual to individual. Typically, following the laser treatment, the treated area will appear red and slightly swollen. Bruising is also possible. The GentleLase is used to treat those unwanted brown spots called lentigines (sun spots) or age spots caused from sun over the years. Spots may be completely removed after the first treatment, but sometimes it may take more than one treatment. It is also possible the spots may still be there but with significant lightening. What is GentleLase Laser treatment, and how does it work? Several methods exist to remove unwanted brown spots, including liquid nitrogen, topical bleaching agents, and chemical peels. All of these treatments provide lightening of the unwanted sunspot, but with varying degrees of effectiveness and control. 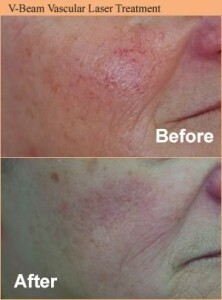 Lasers which effectively treat unwanted sunspots with more accuracy and control are now available. While it may not be possible to completely remove the pigmentation, significant permanent lightening of the spot is achievable. The results will depend on your skin type and pigmentation, and the body site being treated. The ideal patient for sunspot reduction is a fair skinned person. Persons with darker skin tones may be treated, but there are higher risks for skin discoloration. There may be some stinging, burning, or discomfort experienced while the laser is in use. This normally resolves within 30-60 minutes after the treatment. With each subsequent treatment the discomfort usually lessens. While the treatment has been generally proven safe, there are potential risks to the procedure including: incomplete removal of sunspot, scarring, hypopigmentation (lightening of the skin) and hyperpigmentation (darkening of the skin). These conditions are usually temporary, but may persist for several months. 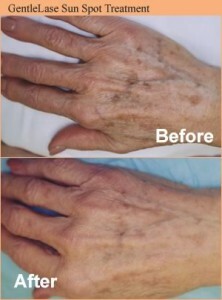 Permanent skin pigment or textural changes may occur but are rare. We will discuss all of the risks with you prior to treatment. For best results, it is very important to minimize sun exposure before and after treatment. 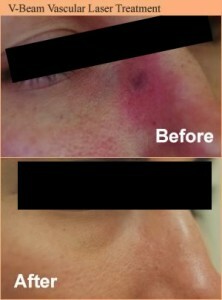 Immediately after treatment, the area may appear puffy and red and the treated spots may appear darker. We will provide detailed care instructions at your visit. More than one laser treatment should be expected to obtain the degree of lightening that you desire. 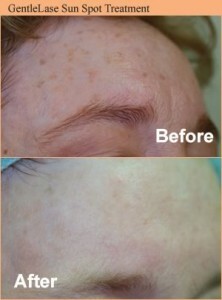 Treatments can be delivered anytime pigmentation is noted, but they are usually administered every 4-6 weeks. Most patients experience a significant reduction from the amount of pre-treatment pigment in a given area after a series of treatments. One should not expect to have every single sunspot completely removed. Sun protection increases the long term benefit of the treatment. The GentleLase is also used for excess hair. The laser interacts with the pigment in the hair root causing the hair to be removed with little harm to the surrounding tissue. The GentleLase only works with dark hair. Blond, gray and red hair have little or no pigment in them, so the laser is not able to target those as well. It may not be possible to have complete hair removal, but after a series of five treatments, you should see an 80% decrease in hair growth. Numerous methods exist to remove unwanted hair, including shaving, waxing, depilatory creams, and electrolysis. Unfortunately, all of these treatments provide only temporary results. 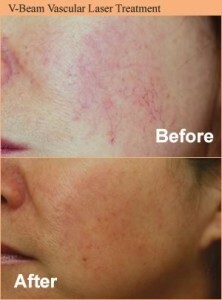 Even electrolysis has failed to produce permanent hair removal in most cases. 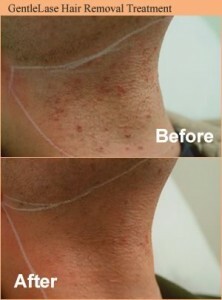 Lasers which effectively and permanently reduce the amount of unwanted hair are now available. The Candela GentleLase laser is a device that produces an intense but gentle burst of light that selectively fragments and removes dark hair with minimal harm to the surrounding skin. The laser energy interacts with pigment (melanin) in the hair root. Blond, gray, and red hairs have little or no melanin in them, thus they do not absorb light as well as darker hair. Laser hair reduction is a safe and effective treatment in properly trained hands. While it may not be possible to completely remove every hair, significant permanent hair reduction is achievable. The results will depend on your skin and hair color, the body site being treated and your ability to tolerate higher energy treatments. The ideal patient for laser hair reduction is a fair skinned person with dark hair. Persons with darker skin tones may be treated, but long term hair reduction is not as successful, and there is a higher risk of skin discoloration. Persons with light hair (red or blond) may also be treated, but long term hair reduction is harder to achieve. A tan decreases the effectiveness of the treatment and increases the risk of hyperpigmentation (darkening of the skin), hypopigmentation (lightening of surrounding skin), or skin blistering. For this reason, it is best to avoid sun exposure or tanning beds while being treated. You should not use any form of waxing, plucking or electrolysis prior to the treatment with the GentleLase. The hair root has to be present for the laser to work, so if it has been removed with waxing, plucking, or electrolysis, then there is no “target” for the laser energy to hit. Some medications can make you more sensitive to the effects of the laser, so you should give your provider a complete list of your medications prior to the procedure. There may be some stinging, burning, or discomfort experienced while the laser is in use. The degree of discomfort varies from individual to individual. With each subsequent treatment the discomfort usually lessens. 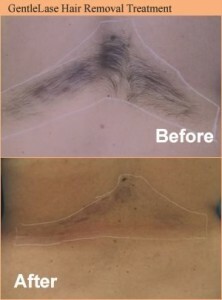 Many patients who have waxed or had electrolysis report that it is actually less painful than those types of treatments. Anesthetic creams can be provided. This will be discussed during consultation. While the treatment has been generally proven safe, there are potential risks to the procedure including: incomplete removal of hair, hypopigmentation (lightening of the skin) and hyperpigmentation (darkening of the skin). We will discuss all of the risks of treatment with you prior to treatment. More than one laser treatment should be expected, and several treatment sessions may be required to obtain the degree of hair reduction that you desire. We will discuss the number of anticipated treaments and the degree of permanent hair reduction prior to your first treatment. Treatments are usually delivered every 6 weeks.